Spider-Man lives again! His solo movie sequel being planned for a long time, we never really doubted that the web-slinging superhero aka Peter Parker would return after getting dusted by Thanos’s snap in Infinity War; but seeing him alive and swinging in the new Spider-Man: Far From Home trailer still brought us relief. 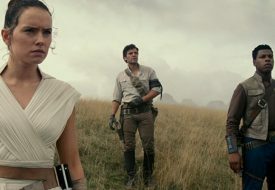 The first trailer for the movie, which will hit cinemas on 4 July 2019, drew a whopping 130 million views in just the 24 hours it was released online! That’s the most ever in Sony Pictures history! But we can’t wrap our heads around the marketing of the Marvel movies. How does Marvel give us the trailer to Spider-Man: Far From Home before the sequel to Infinity War is released? 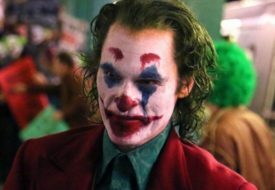 Wouldn’t the trailer just spoil Avengers: Endgame for us? The answer is, no. You can safely watch the full trailer below knowing that no telling spoilers about Avengers: Endgame are revealed. The trailer does a good job at completely not mentioning the significant events that happened in Infinity War, least of all Peter’s own death. It doesn’t show or mention any of the other Avengers. Most of all, the mood and plot are as if no end-of-the-world disaster took place resulting in a traumatic aftermath. Peter Parker’s going on a school trip with his friends to Europe. Picking up from that “WTF” ending of Spider-Man: Homecoming, Aunt May knows that Peter is Spider-Man and she might be in a relationship with Happy Hogan (perhaps a bigger “WTF” moment). And Peter’s own relationship with MJ might be heating up, too. Spider-Man also gets new suits – hello, all-black stealth suit! 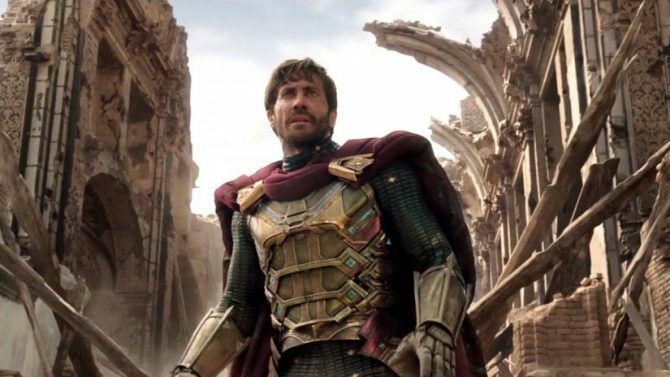 – and goes up against a new villain, Mysterio, played by Jake Gyllenhaal. Everything seems normal and fine. We think Peter is feeling much better now. So could it be possible that Far From Home actually takes place before the events of Infinity War? It wouldn’t be new for Marvel to switch up the timeline of their movies; Captain Marvel, the next MCU movie coming up, is set in the 90s. And we can’t ignore the likely intentional blanking out of the years in Peter’s passport, shown in the new trailer. So, though Sony’s producer Amy Pascal explicitly stated that Spider-Man: Far From Home “will start a few minutes after Avengers 4 wraps as a story,” the creators might still be trying to keep fans in the dark about how the movie will fit in the MCU timeline. If we take Pascal and other producers at their word, the lack of trauma in Far From Home might suggest a total reboot of the Infinity War events, an “unsnap” that erases the global decimation by Thanos. But the catch is that the survivors don’t remember what happened. If you look closely at the new trailer, it does drop some interesting easter eggs that might point to a post-Endgame life for the Avengers. Peter and Nick Fury, apparently, meet for the first time in Far From Home. 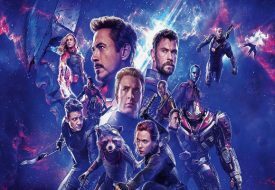 Not in the all-the-characters-together scene promised for Avengers: Endgame? Also, the Avengers tower looks to be under repair. Is it being torn down because some of the heroes are no more? So many questions, we can’t wait until Avengers: Endgame arrives in April to give us some answers.